Are you in the market for a new bed? Would you rather shop online than go to a physical retailer? If so, then this article will assist you with your choice. Choosing a mattress is one of the most important health decisions you can make since it will directly impact how you feel throughout the day, every day. Thankfully, it’s now possible to make a great choice and get it delivered to your house without having to go anywhere. 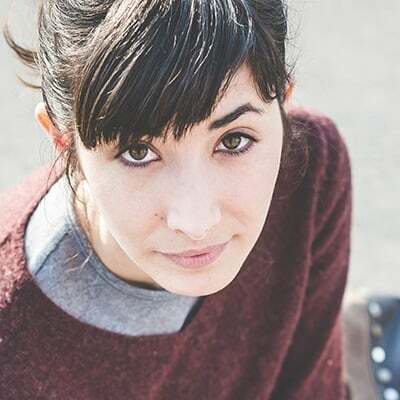 The first benefit to this is the selection, as there are countless online mattress companies and more springing up all the time. Another advantage is that you can compare prices and features much easier than traveling to each retail outlet, not to mention shop no matter the time of day. This guide will go over five different online mattresses. We tried to include variety, so there will be something that fits everyone. The DreamCloud Mattress is a luxurious hybrid bed that incorporates both coils and foam. It may be helpful for back pain sufferers because it uses soft foam to cradle pressure points, yet has a firm core made from coils to help with body alignment. It also works well with every sleeping position. You carry some extra weight: People who are heavier than average often struggle with their mattress sagging in the middle over time. The DreamCloud Mattress could be a good solution to this, as the coils give the bed a firm, stable shape that should hold up through repeated use. You want to make a safe purchase: Most mattress companies give sleep trials within the 100-day range, but the DreamCloud Mattress comes with an entire year to test out your bed. This, in combination with the long warranty offered by DreamCloud, makes their mattress a safe and low-risk purchase. You have a different sleeping style than your partner: The medium firmness of this bed makes it suitable for all sleeping positions, so, even if you and your partner favor different default positions, it should work well for both of you. You move around in your sleep: Bouncy, responsive beds are good for people who switch positions a lot at night since it prevents them from sinking in too much or getting stuck. If you tend to favor different sleeping positions and move around throughout the night, the DreamCloud Mattress could be a good fit for you. The cover of this mattress is made with plush, soft cashmere and the mattress itself has eight layers of luxurious comfort. Under the breathable cover is a layer of gel-infused foam designed to keep your body cool while you sleep. Under that is a sheet of bouncy latex, followed by a dense memory foam layer, another supportive memory foam layer, a layer of coils, and a dense foam foundation. The foam used in the mattress construction will gently cradle your body but there isn’t much sinkage due to the coils. The DreamCloud Mattress does a good job with absorbing motion because the coils are pocketed and the foam layers help to isolate movements, which means it should work well for couples. The bed is made with CertiPUR-US® certified foams, meaning the materials have been tested and found to be free from harmful levels of toxic chemicals. The DreamCloud Mattress comes with an Everlong Warranty™ that lasts for the life of the mattress and a 365-night trial period. Overall, this bed is a good choice for heavy sleepers, back pain sufferers, or people who want plenty of support in their mattress. If you’re on a strict budget but still want to buy a quality mattress online, the Zinus Green Tea Mattress is definitely worth considering. The most affordable option on our list, this memory foam bed has a supportive base and provides a gentle cradling sensation for your body to relieve pressure. You like the sound of a scented mattress: Along with its affordable price tag, another stand-out feature of the Zinus Green Tea Mattress is the fact that it’s lightly scented. Zinus uses green tea extract, charcoal, and castor seed oil to keep the bed clean and smelling fresh. You have pets: When it comes to mattress materials, memory foam is the best at absorbing motion disturbances. This means that even if your dog or cat jumps into bed with you multiple times in the night, you shouldn’t feel it much and will likely remain peacefully asleep. You have a stiff or sore back: Memory foam creates a cradling hug for the sleeper, which can be very helpful for easing pain or tension in the body. If you suffer from these common issues, the Zinus Green Tea Mattress could be the change you’ve been seeking. 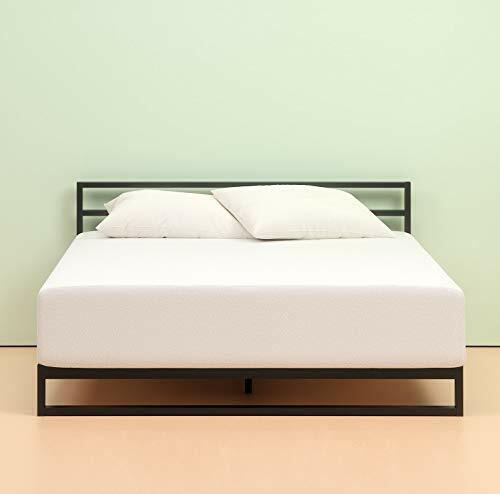 You like memory foam but tend to sleep hot: Memory foam tends to retain heat more than other mattress materials, but that doesn’t mean that you can’t enjoy this bed as a hot sleeper. The Zinus Green Tea Mattress has an egg crate-shaped layer of convoluted foam to encourage airflow and keep the sleeper cool. In this review, we’ll cover the 10-inch version of the Zinus Green Tea Memory Foam Mattress, although there are also 6-inch, 8-inch, and 12-inch options available. The cover of the bed is made from a stretchy, comfortable material, followed by a 2.5-inch BioFoam® layer that conforms to the body. Next is a 2-inch, pressure-relieving foam that serves as a transition between the BioFoam® layer and the dense foam base. The 10-inch version of the Green Tea Mattress is medium firm, but slightly firmer than average, meaning it will work for back sleepers, stomach sleepers, and side sleepers. The surface is slow-responding and has little to no bounce, which makes it great for people with restless partners, as the bed will absorb motion. The Zinus Green Tea Mattress has been CertiPUR-US® certified and found to be free from harmful levels of heavy metals or other toxic materials. The bed comes with a 10-year warranty and a 100-night sleep trial period. The infused scents in this mattress make it a unique option for memory foam-lovers. Mattresses, as a whole, aren’t cheap, so when an option pops up that’s as affordable as the Zinus Green Tea Mattress, it stands out. If you’re on a strict budget, you’ll definitely appreciate the price of this bed. The Layla Mattress is a foam bed that comes with two firmness options in one. On one side, the surface is Medium-Soft and the other side is Firm, so if one doesn’t work for you, you can just flip it over. This is perfect for people who know they like the feel of a foam bed but aren’t sure how firm they want it to be. You like the feel of memory foam: Memory foam creates a cradling hug for the body, conforming to your curves and creating a sinking feeling. The Layla Mattress doesn’t use any coils in its design, so you should make sure you’re more of a fan of memory foam than innerspring coils, before you buy. You’re a hot sleeper: Waking up sweaty is no fun, so if you struggle with this, it’s important to find a bed that uses cooling technology. The Layla Mattress uses copper and ThermoGel® in its construction to fight against heat retention and keep you cool. You want a removable cover: Many mattresses come without a removable cover, which makes machine washing impossible, but the Layla Mattress comes off. If you prefer a removable cover, you’ll appreciate this. You like long warranties: The Layla Mattress comes with a Lifetime Warranty which lasts for as long as you own the bed. If you feel more secure purchasing a mattress with this extra security, the Layla Mattress could be a good pick for you. The cover of the Layla Mattress is made from a moisture-wicking blend of Lycra, viscose, and polyester. Underneath the cover is a copper-infused memory foam layer, followed by a supportive, egg crate-shaped layer for airflow. Next is the mattress foundation and last is the top layer of the Firm side of the Layla Mattress: a 1-inch copper-infused memory foam layer. This bed is a bit softer than average on the Medium-Soft side and a bit firmer than average on the Firm side. Since the bed is made from memory foam, both sides are slow-responding and have little to no bounce. The materials used in the Layla Mattress are great at absorbing motion, so you can stay asleep, even when your partner is tossing and turning. 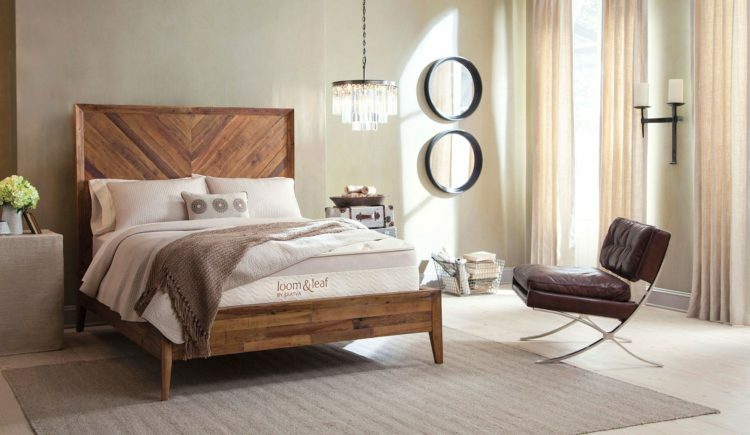 This bed is CertiPUR-US® certified and found to be free from dangerous amounts of toxic chemicals. If you buy the Layla Mattress, you’ll get the previously mentioned Lifetime Warranty, along with a 120-night sleep trial period. Overall, the cooling technology, two firmness options in one bed, and lifetime warranty on the Layla Mattress make it a great bet for people who like memory foam. The Loom & Leaf Relaxed Firm Mattress is a supportive foam mattress with a minimal amount of bounce. We chose it as the best option for side sleepers because the surface allows the shoulders and hips to sink in slightly while the core is supportive and keeps the spine neutral. You don’t want a bouncy bed: Since the Loom & Leaf Mattress is an all-foam bed, it doesn’t have a bouncy surface like a hybrid or innerspring mattress. If you enjoy a slow-responding surface on your mattress, instead of a springy feeling, you should appreciate this. You could use some spinal alignment: Loom & Leaf uses their own Spinal-Zone Gel in the Relaxed Firm Mattress, which helps align the spine and keep the sleeper cool. If you have back problems, this could help provide the relief you need. You move around a lot in your sleep: Although this mattress has a foam design that cradles the body, it’s also responsive enough to allow you to switch positions easily. If you’re a combination sleeper, you won’t feel stuck in the bed when you’re shifting sleep positions at night. You need installation help: Getting a mattress set up on your own can be a challenge, so you’ll be glad to know that the Loom & Leaf Relaxed Firm Mattress comes with White Glove Delivery. When they deliver the bed to your home, professionals will help get your new mattress set up. The Loom & Leaf Relaxed Firm organic cotton cover has a layer of foam attached to it for comfort, followed by a gel-swirl foam layer for cooling. This layer is enhanced with a Spinal-Zone Gel panel to give the sleeper lumbar support. The following layer is made with a visco-elastic foam that provides deep contouring and support for your body, then a transition layer and the dense foam mattress base. Although this mattress is rated as medium-firm, it’s about a 6/10 on the firmness scale, which is a bit on the firmer side. Since the bed is made with memory foam, it creates a bit of a sinking feeling, although the mattress is also supportive enough to keep you from feeling trapped in it. 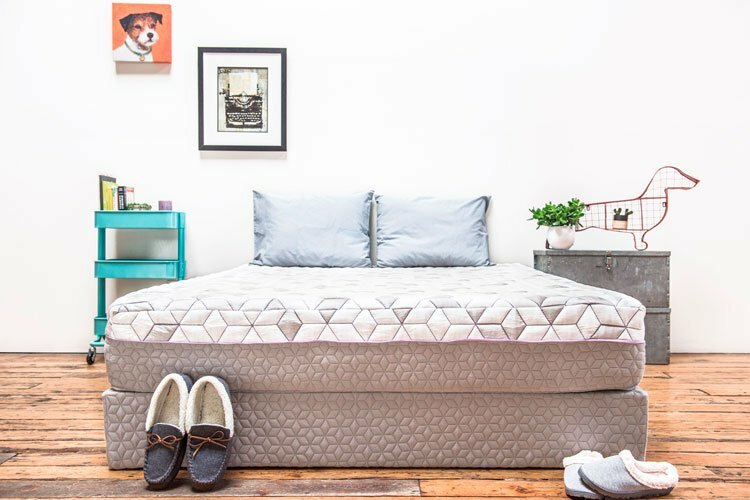 The Loom & Leaf Mattress has minimal bounce and absorbs motion very well, making it great for couples and people with pets. This bed has been CertiPUR-US® certified and is free from harmful levels of formaldehyde, toxic chemicals, or heavy metals. If you buy it, you’ll get a 15-year warranty and 120-night sleep trial. The Loom & Leaf Relaxed Firm Mattress should work well for all sleeping styles since it’s medium firm, which accommodates all positions and body types. It’s also good for hot sleepers, due to its egg crate-shaped design, which promotes airflow. Overall, this could be a good option for people who want a bed with little to no bounce and could use some extra lumbar support. The WinkBeds Hybrid Mattress is a responsive bed with a supportive coil core and comfortable, conforming foam. We chose it as the best option for hot sleepers because it has separate coil units to promote airflow. WinkBeds also offers an optional, proprietary cool control base if you need additional cooling. You want a bouncy bed: Since the WinkBeds Luxury Firm Mattress is a hybrid bed, it uses both foam and coils in its construction. If you enjoy a responsive, bouncy bed, you’ll likely enjoy this model. You’re a combination sleeper: The bouncy surface on this bed makes it easy to reposition yourself without feeling stuck. The WinkBeds Luxury Firm Mattress has a medium-firm feel to it, which makes it suitable for a variety of sleeping positions. These factors make it a great choice for combination sleepers who move around a lot. You have back issues: Many back problems come from a lack of proper spinal alignment. If you suffer from back pain, the WinkBeds Hybrid may be a good choice for you, as it evenly distributes your weight over the mattress surface, potentially easing discomfort. You want a few different firmness options: This review will be focusing on the Luxury Firm model from WinkBeds, which is in the middle in terms of firmness. The brand does have a softer and a firmer option, though, so if you want options, WinkBeds could be a good choice for you. The top layer of the WinkBeds Luxury Firm Mattress is made with a responsive foam, followed by a 1-inch layer of pressure-relieving gel foam that prevents heat retention. These foam layers are followed by two separate layers of coils that contribute to stability and extra airflow, then a final foam layer. The Luxury Firm Mattress by WinkBeds has a plush, luxurious feel with a little bit of sinkage, though it also feels very supportive, due to the coils. Compared with an all-foam mattress, there isn’t much of a hugging feel, though it does conform slightly to your body. This bed does well for a hybrid when it comes to isolating motion, though a memory foam bed will, of course, do better in this category. The WinkBeds Luxury Firm Mattress is CertiPUR-US® certified (free from harmful levels of dangerous chemicals) and uses a sustainable textile for the cover. This WinkBeds Mattress comes with a 101-night sleep trial period and a 10-year warranty. The Luxury Firm model by WinkBeds should be the most suitable for the widest variety of people because of its medium feel, which supports all body types and sleep positions. All in all, this bed is a good choice for hot sleepers because you sleep on top of the mattress rather than in it, preventing too much heat buildup. It also uses cooling gel and promotes airflow with its dual coil layers. If you know you like a bouncy feel to your mattress and want to invest in a hybrid, the WinkBeds Luxury Firm Mattress could be the right pick for you. Mattress Material: You’ll find no shortage of options for mattress materials when you’re shopping online for a new bed. Innerspring mattresses are the most traditional option, while memory foam creates a deep “hugging” feeling for pressure relief, and hybrid beds use both coils and foam, for a mix of cradling sinkage and firm support. Think about what sensation you prefer before you buy. The Delivery Process: When you’re ordering a mattress online, you’ll want to know what the company’s delivery policy is. Some may simply ship the mattress to your house, leaving the setup process to you, while others will have an option for help with setup and even old mattress removal. Knowing the specifics will help you plan, so be sure to research before choosing your new bed. Sleep Trial Period: Sleep trials are important with online mattresses because you don’t have a chance to try the bed in-store before you buy. Most companies will give you at least 100 days to test out your new bed and often offer a refund if you’re not satisfied with your purchase. Some other things to keep in mind are warranty, shipping fees, and environmental certifications. With all of this information, you should be able to make an informed decision on your new bed, without a problem. Best Time to Buy a Mattress in 2019: Should You Invest in a New Bed and If So, When?